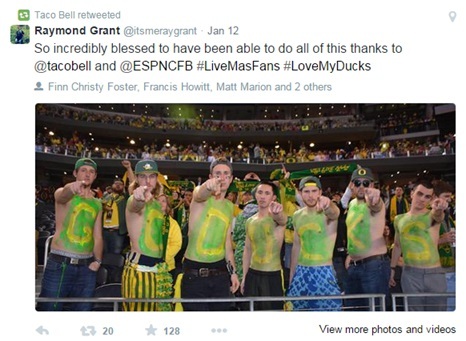 Taco Bell’s alternative and savvy social media marketing has gained a strong following by a younger audience and its ramped-up deal with US College Football Playoffs and ESPN offers a unique opportunity to connect with its target market. So, why is Taco Bell’s Twitter account such a hit and what does this new deal with College Football playoffs mean for the Mexican fast-food chain? In May 2014, retailer H&M launched Poland's first marketing stunt on Snapchat, hiding exclusive party tickets in its clothing stores and sending cryptic clues via the self-destructing photo app. 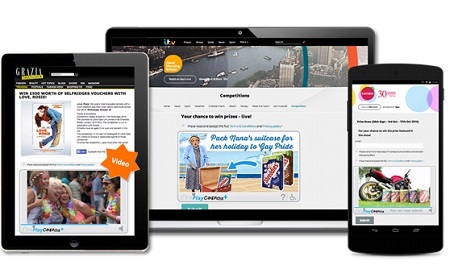 This case study looks at how the campaign reached 3.8 million unique users via this digital spin on the old ‘treasure hunt’ game. Back in 2012, car seat firm Britax saw its target audience were rapidly moving online. In response, the brand worked with Shopatron to produce a holistic digital strategy that embraced click and collect, mobile commerce and inventory optimisation. This case study looks at how the UK brand made smart use of technology to get a sales increase of over 150% each month when compared to the same month in the prior year. The UK’s most enjoyed and best-loved Christmas TV advertising of 2014 is John Lewis’s Monty the Penguin, but is it the most effective in terms of ROI? This case study uncovers why Lidl’s Surprises ad proved to be the most persuasive, with respondents saying it made them more likely to buy the brand. YouTube has revealed the most popular videos of 2014, marking the occasion with a video assembling some of its most popular Vloggers. The video features a mash-up of the most popular YouTube videos of 2014 — including the Ice Bucket Challenge and Nicki Minaj’s ‘Anaconda’. Many of those moments also feature in YouTube’s ‘top trending videos’ which it released, along with its chart of the most popular videos globally and in the UK, to run alongside its review of the year. The 'Mutant Giant Spider Dog' — a dog dressed as a spider that ran around terrifying inhabitants of a Polish town — also features in the video, and came first in YouTube's list. ISBA, the Voice of British Advertisers surveyed its members from more than 400 brands to find out their favourite ever past Christmas ads, with Coke’s ‘Holiday’s Are Coming’ leading the way. Coke’s Festive Ad-campaign took an upswing since 1995 when the drinks giant started rolling out a batch of Special Christmas Delivery trucks lit up with thousands of lights and the words, “Holidays are coming.” The Truck Ad-campaign has been so successful that the arrival of these trucks is considered to be indicative of the on-set of the festive season by many in North America today. In December 2014, Honda faked a hack of its own Twitter account, handing the @Honda handle to Skeletor of ‘He-Man’ fame, even taking potshots at other brands, including Toyota and Burger King, with a number of humorous tweets.The stunt marks a growing trend for guerrilla marketing practices. In 2014, a simple commercial featuring retro action figures is unlikely to stand out from the crowd- hence why social media stunts are a better way to reach a younger demographic.The fact that the campaign also coincided with 'Cyber Monday' also helped boost visibility on a popular online shopping day. Asos’ latest marketing campaign for its autumn/winter collection generated nearly half a million views in a week. When viewing the video, users can click on a colour strip at the bottom of the video, causing the film to switch seamlessly to that colour theme. The film was created by Virtue Worldwide, Vice Media’s in-house creative agency. The ad has been shot five times using five different colour schemes, and lets viewers to click to change the colours and clothes in the video as it plays. The shoppable video has been viewed more than 700,000 times in just over a month. Back in 2011, O2 made the bold move to expand beyond the consumer with an initiative to get small businesses on its side- winning a raft of new customers ahead of rivals Vodafone, Orange and T-Mobile in the process. This case study looks at how the UK mobile network operator identified a growing demand and re-positioned its brand to get tens of thousands of businesses using their network. For the launch of the new Mercedes A-class, Mercedes wanted to appeal to a younger generation of drivers in the UK. This case study looks at how the car maker moved away from a traditionally heavy focus on TV and outdoor advertising to include social and mobile channels in its marketing mix. The #YOUDRIVE campaign combined social media and TV advertising by creating an exciting story told over three TV adverts where social media was used to decide the outcome of the story. To promote its latest Galaxy camera, this global campaign from Samsung targeted the millennial community who regularly upload photos to social media. The electronics giant created a social media marketing campaign –dubbed ‘Life’s a Photo Take It’ - using young influencers to demonstrate the key differences between the quality of images from a normal smartphone and the Samsung Galaxy camera- getting results that blew away expectations. In November 2014,Google took control of the largest digital screen in North America promote Android with an innovative app that projected user creations into the skies above Times Sqaure, New York. The company has rented the outdoor display, created by Clear Channel, until January 2015, at an estimated cost of $2.5m (£1.59m) per four-week period. Google will use the billboard to showcase a number of its leading products, including the newly-released Nexus handsets and tablets, Android Wear, Chrome and Google Maps. The company is also planning to give over some of its allotted time and media space to six different non-profit organisations, as well as the Google-related cause project Made with Code. To celebrate Mothers Day 2014, retailer Cardstore created a viral video with a twist. This case study looks at how the US card retailer filmed fake webcam job interviews for the ‘world’s toughest job’ to become a viral hit and get 22 million YouTube views. 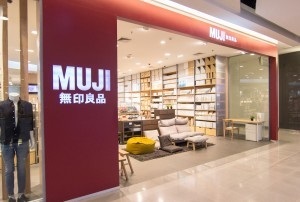 With nearly 600 retail stores and a strong online presence, Muji deployed InteractEdge from Infosys to generate higher sales through personalised product recommendations for over two million registered customers. 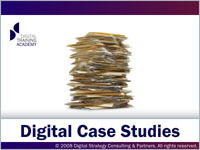 This case study looks at how the Japanese firm strengthened customer loyalty and boosted revenues. Just what is it like to be a woman walking the streets of New York City alone? This controversial video from non-profit organisation Hollaback! filmed the real-life reactions of men as a woman walks around the city. This case study looks at how the video put street harassment in the spotlight, getting a huge 37 million views in just three weeks. To promote its Shreddies cereal brand, Nestle UK launched a PlayCaptcha+ campaign to raise awareness and increase viewership of two short videos in the 'Great British Nana Holiday' series.Campaign results reported that 80% of users viewed 5 seconds or more of the video ads and the format worked well on mobile, with 61% of interactions occurring on tablet platforms. Lacoste has launched its first campaign on Snapchat, as the sportswear brand looks to boost its digital reach to young fans. Lacoste has teamed up with BETC Digital to run the #SpotTheCroc competition on Snapchat, asking followers to find its iconic crocodile hidden in a series of five short videos. The competition runs for two months with a 10 second video to be shared every two weeks. The videos for the campaign will illustrate various sports such as tennis, golf, skateboarding, slackline and rollerblading, in line with Lacoste’s brand signature: Life is a Beautiful Sport. Waitrose called on the nation, and its own staff, to lend their voices to its Christmas advert this year in a new initiative called 'Donate Your Voice'. In October, the supermarket ran an online campaign, created by BBH London, urging members of the public to form a virtual choir and sing the soundtrack for its Christmas advert. Ahead of Halloween 2014, BBH Asia Pacific Singapore and Chupa Chups launched a choose-your-own-adventure style Instagram game, as the confectionery first looks to appeal to its young audience during the biggest time of year for sharing candy. The annual John Lewis Christmas ad has become as much a part of a UK Christmas as Mince Pies, Santa Claus and woolly jumpers. This year, the retailer opted to preview its £1m ad on digital channels YouTube and Twitter first, ahead of its TV debut over the weekend. In November 2014, retailer got a leap in its digital coverage thanks to an unsuspecting teen heartthrob. Or was it all a viral marketing ploy in the first place? This case study looks at what should other brands (and their staff do) when they’re thrown into the spotlight? Back in 1984, Peugeot ran a James Bond-style ad to promote its 205 model, replete with helicopter chases, explosions and glamorous women. In 2014 the ad returned… with a digital twist. Launched on YouTube on October 1st 2014, the reboot of '80s campaign "The Legend," has already generated piled up more than 12 million views in a month. KFC launched the Wow@25 menu in India to show that great food doesn’t have to come at a high price - only Rs. 25. KFC wanted to vanquish the misconception that locals had about the price and needed a ‘Wow’ idea to communicate the new menu. This case study looks at how the fast food brand made smart use of new technology to get the number one spot in the iTunes food and drink app category. The 2014 IKEA catalogue came to life this year taking the customer experience further with extended digital content. This case study looks at how the furniture brand used augmented reality technology to add a new dimension to the shopping experience, getting a huge 8.5 million downloads in the process.